Don't miss this one!~Own for the same amount that you currently payingin rent. Very LOW Taxes and Home Owners Insurance in one of the best school districts in Bucks County - Pennsbury S/D.~This adorable home with three bedroom, one bath, newly painted interior along with all new carpeting throughout is move in condition with updated windows, newer heater and hot water heater and new complete Sewer Line.~~Beautiful open backyard is big and lots of space for vegetable garden. 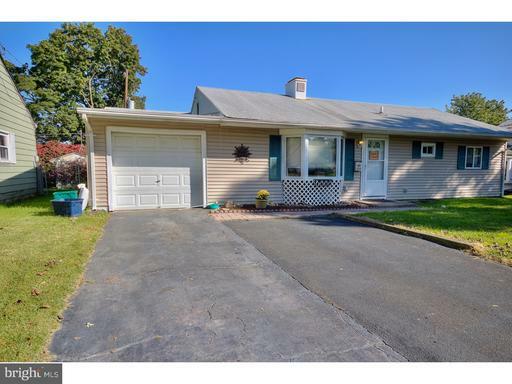 One car extra long garage ready for your work bench.~ Come see this Fairless Hills Ranch Style Home. It will not last.